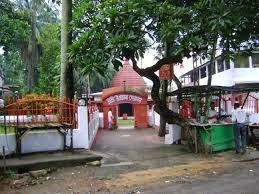 Here is Some Information about Ugratara Temple in Guwahati Assam India. 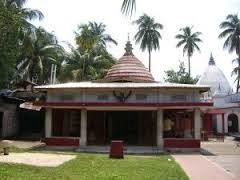 The Ugratara Temple is Located in Uzan Bazaar in guwahati in Assam.The present temple shrine of Ugra Tara was built by King Siva Singh in 1725 A.D. who had excavated a tank three years before. The tank known as Jorepukhuri is situated to the east, of the temple. The tank still exists, though the upper section of the temple shrine was destroyed by a devastating earthquake. This was however rebuilt by a private citizen. Legend has it that the navel of Sati, the wife of Lord Shiva, is related to this temple. Ugratara in Assam is generally identified with Tiksna-Kanta, Eka-Jata, etc., of the Buddhist pantheon. The main festival celebrated in Ugratara temple is Navaratri or the festival of nine nights. During this time, devotees from far and wide come to offer their prayers and seek blessings of the Mother. An important ritual observed during the festival is the sacrifice of animals, like bulls, buffaloes, wild boars, goats etc. There is also another ritual of offering one’s own blood to the Mother. However, an interesting fact is that, generally, the females of all the species are exempted from sacrifice. Apart from this, special prayers are also offered to the Goddess every Friday. By Road: There is well connected roads are available to travel Ugra Tara Temple of Assam. NH-31, NH-37 and NH-40 are passing through this temple way. So it is easy to travel the Ugra Tara Temple of Assam by Roadway. By Rail: The Nearest Railway Station is Guwahati is the capital of Assam. So it is connected with all major cities and all major states. 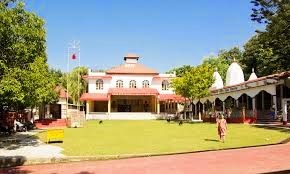 So any one can easily come to this temple by train. 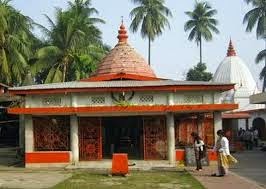 By Air : The nearest airport of Ugra Tara Temple is Guwahati which is connected with all major states through Airway and there is many daily flights are available from other states.